My next few blog posts will feature potential barriers to conception. I’ve decided to start with Polycystic Ovaries and PCOS because they’re the conditions which I come across more often than any other. This is perhaps unsurprising given that both affect around 20% of women (source: Verity). The two closely connected conditions are often talked about, even by doctors, as if they’re one and the same thing, however this isn’t the case. 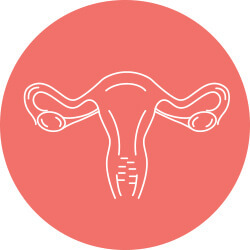 Polycystic Ovaries is the term used to describe multiple egg-containing follicles in the ovaries (about twice as many as in normal ovaries) that have not matured to be ovulated due to an endocrine (hormone) imbalance. Some women with Polycystic Ovaries have no symptoms at all and often don’t realise they have them. They may only be picked up if they’re struggling to conceive and have medical tests which reveal that their ovaries are polycystic. Your ovaries can be polycystic without you having the full syndrome. Polycystic Ovaries and Ovarian Cysts are two different conditions; the latter being fluid-filled cysts on the ovaries. ‘Syndrome’ is a word used medically to denote a collection of symptoms which tend to occur together. Thus if your ovaries are polycystic and you have other related symptoms, you may be diagnosed with PCOS. There is no cure for PCOS, but the condition can be managed by good nutrition, exercise and a generally healthy lifestyle. A wealth of information can be found in the links below. Reflexology treatments might form part of your condition management regime, as a way of improving your overall health and well-being. Some of my clients have found that their cycles become more regular whilst they’re having regular reflexology with me, although naturally this can’t be guaranteed.